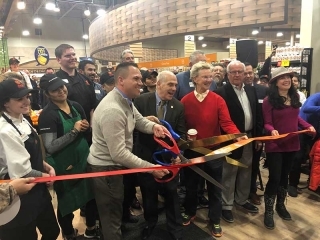 Central Market, a banner of H-E-B, opened the doors of its newest location at the corner of Midway Road and Northwest Highway in Dallas, Texas, last week with a ribbon-cutting ceremony. This store marks the company’s 10th specialty retail location in Texas, and the third location in Dallas. 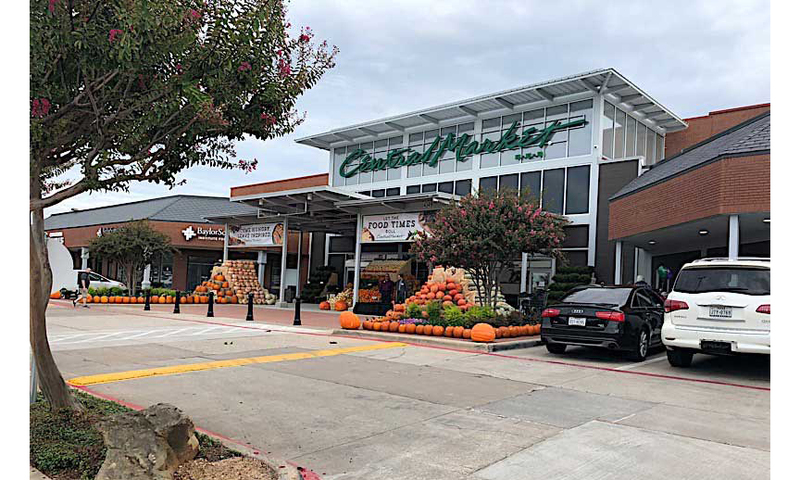 Central Market Midway brings 250 jobs to the area and features more than 20,000 products on any given day, rotating more than 5-6,000 new products each year as new items are procured locally and around the world. The more than 50,000-s.f. store has two levels and a number of features new to the Central Market brand, including an 8-ft. specialty mushroom table; a selection of red and white Burgundies from France, as well as a collection of Bordeaux from the Loire Valley; more than 100 varieties of Texas coffee roasters, plus limited edition micro lots and single-origin beans, as well as Central Market’s In-House Roasted Coffee; old-fashioned New York-style bagels that are boiled and oven-finished in-store; a modular combination cooking school and community room to be used for cooking classes, special events and community gatherings; specialty olive oils and small-batch vinegars; and 100 varieties of bronze die pasta. In addition to the 45,000 s.f. 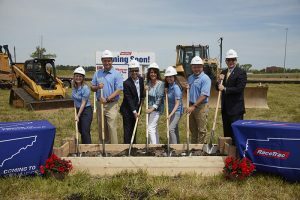 of retail space, the store offers curbside service and home delivery, including beer and wine, within a seven-mile radius, as well as full-service floral, catering and gift basket departments. Founded in Austin in 1994 by H-E-B, Central Market, dubbed “an amusement park for food lovers,” serves major cities across Texas: San Antonio, Houston, Austin (2), Plano, Southlake, Dallas (3) and Fort Worth.